Part of play time on the weekend was adding the triangles to two of the pinwheels. 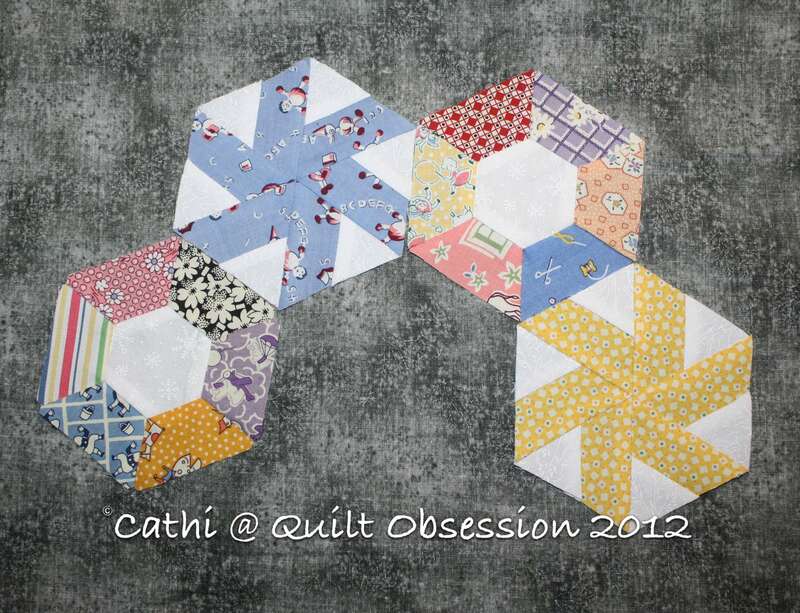 I’m not sure whether I’ll add a plain 2″ hexagon in the centre of each set of six little blocks. Perhaps I’ll add some redwork on a 2″ hexagon. Whatever I decide, it’s going to be some time before this turns into anything. 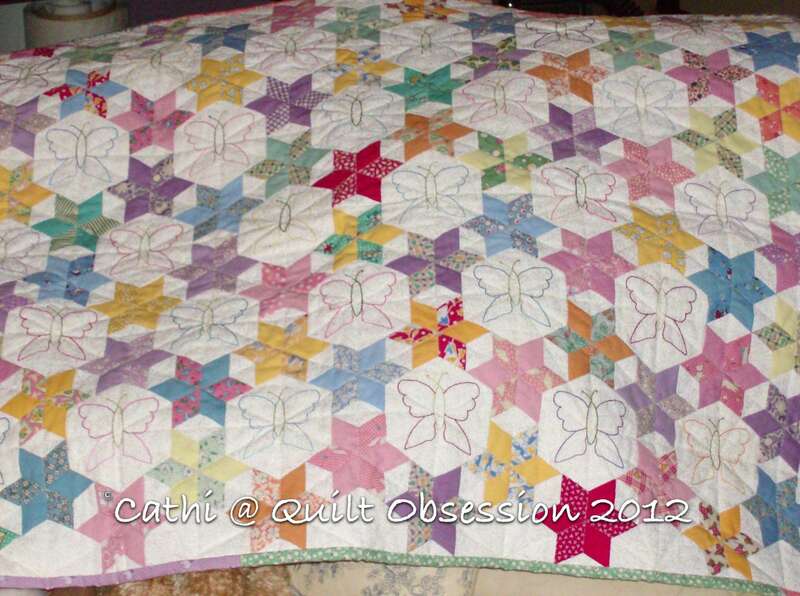 I might do something like Emma’s Butterfly Stars, although I may ask Mr. Q.O. to draw some little creatures that I could use for stitcheries. Or I may just come up with a different setting altogether. For now, it’s a nice little project to which to add a block or two every week or so. Monday was a lovely spring day. This is perfect weather to be anticipating baseball season beginning. We’re heading to a friend’s on Thursday to watch the Jays’ season opener. It seems like it has been a very long time since we’ve seen a baseball game. 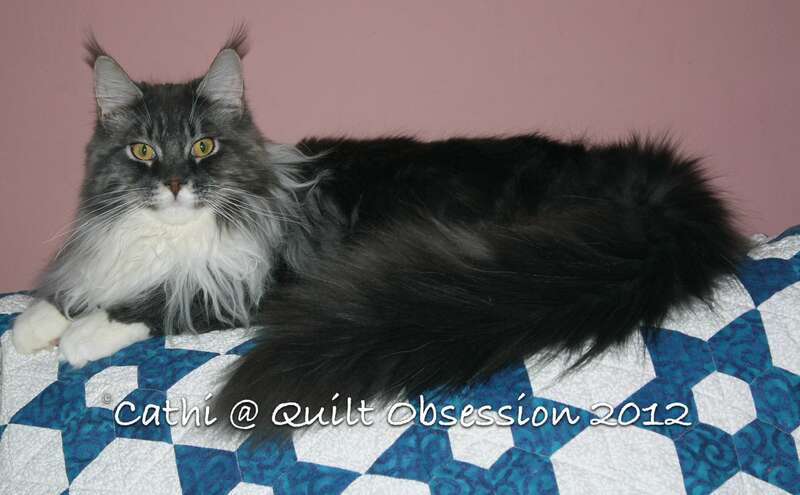 Baxter found a new perch on the blue and white quilt that is draped over the back of the sofa. Now that he’s found it, that seems to be a favoured spot. I love how well his lynx tips show up in this photo.